The SKIES is joining the world game industry not as a typicall MMORPG that users got used to seeing. It has elements of FPS and RPG that are customized to fit the huge multiplayer open game world. The main aim of the developers is to build a complicated multi-level economic system which entirely depends on players' actions. In this world production and profit-making is totally different from the threadbare games players are used to, these systems are more convenient for a player and at the same time they make the game world richer and more captivating. Do you want to get resources or produce materials? Manage your own business or work at the factory? You can start your own production, hire people and manage them, hand out wages. You're free to do anything you like. Another aim is to create interesting dialogues based on the game role system. If you character's intellectual abilities are not well-developed, some options would be unavailable for you. So you character should watch his actions and words to have positive attitude of other characters. If you have bad reputation, people won’t trust you. We don't want to create just another MMORPG or another "shooter". 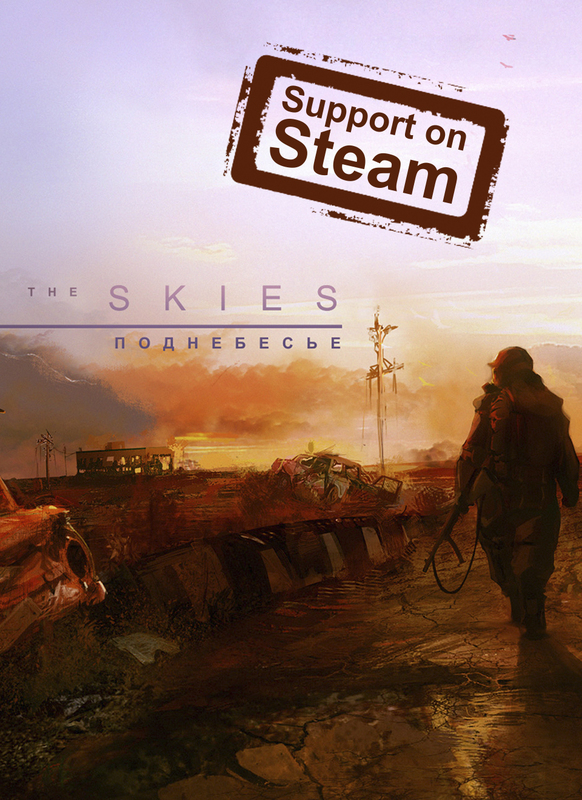 The SKIES is a desert romance, where every player will find his place. This game has various unique locations, characters, places. This is really a living world. And this is what our developers are working on. That's hard, but it's worth all the efforts. We're giving away promo codes for in-game items – drop a comment and you will receive Leather Armour for your in-game character. The SKIES is the upcoming post-apocalyptic MMORPG that offers clan wars, non-linear dialogues and quests, arena combats, unique role system... Economy and production depend just on players... Raiders demolish economic chains. Cities are captured and freed... Find your own place in this cruel world, create your clan and gain the power over the territories and their profit! Soon everyone will be able to find their own Skies. Once you have received your code, jump in-game, head to the Shop and enter the code the receive your items. Enjoy and keep safe out there! "The Skies" will celebrate winter holidays with the open early alpha access! Leather armor you can get from indiedb, but in case you don't get it from here you can also try freemmostation, mmohuts. cricket weapon from mmobomb, mmorpg, 2p. captain weapon from mmogames, massivelyop, mmohuts. random reward (same rewards as above) from mmosite. this game has potential if the devs can stop the exploiters. Top10! Voting for Indie Game 2015 is going on! Let's help it win and celebrate this with the early alpha access for all ALREADY THIS WINTER! Already very soon our community members will be able to playtest latest update of alpha! until then: Youtube.com stay tuned!